Sign Up For The National Do Not Call Registry. 157 million consumers depend on the Do-Not-Call list to keep annoying telemarketers away. Those consumers can now enjoy more freedom from telemarketers than before. The Federal Trade Commission (FTC), which administers the list, has announced it will be extended indefinitely. Previously, the Commission said consumers would have to re-register every five years in order to keep their names on the list. It has now decided to spare consumers that inconvenience. Under new rules announced by the FTC, consumers who have registered their phone numbers will not have to re-register after five years. In the future, all do-not-call registrations will be honored indefinitely, or until the consumer decides to remove their own number from the list. Remember, you must register each phone number separately, whether it is a landline or cell phone. 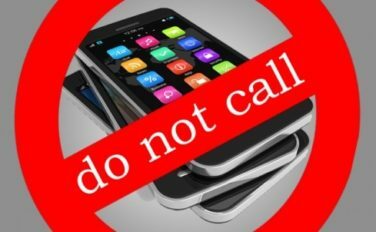 Ask your phone company to offer robocall-blocking technology for which the FCC has now given the legal approval. Tell unwanted callers that you do not consent to the call, make a record of the number and when you made your request not to be called, and let us know. Wireless and landline home phones are protected against telemarketing robocalls made without prior written consent from the recipient. Congress also explicitly empowered consumers to choose to take legal action. You can verify that your number is on the registry two ways: online at DONOTCALL.GOV (click on ‘Verify A Registration’), or by calling 1-888-382-1222 (TTY 1-866-290-4236) from the phone number you wish to verify. Follow the prompts. You can add your number to the registry using the same website or phone number (call from the number you want to register). calls from companies you’ve given permission to call. File a complaint. If your number has been on the registry for at least 31 days, and a telemarketer calls, complain to the FTC. Visit DONOTCALL.GOV or call 1-888-382-1222 (TTY1-866-290-4236). You’ll need to provide the date of the call and the phone number or name of the company that called you.